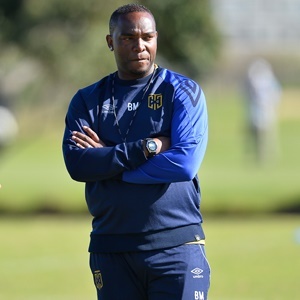 Cape Town - Cape Town City head coach Benni McCarthy has hit out at the City of Cape Town in an open letter after his side was being forced to play a "home" fixture in Durban. "It is a dark day for football. I’ve been away from Cape Town for 21 years and while so much has changed, nothing has changed. Cape Town City FC is a club that has captured the imagination and dreams of Capetonians from all walks of life. With little assistance it has brought endless accolades to Cape Town and united its people. However, it is with great sadness to my players, this club, our fans, and all the football loving people of Cape Town that we must confirm that our upcoming home match versus Maritzburg United will be played away from home, in Durban. From a footballing perspective, a win will take this City top of the log in the nation’s most prestigious competition. And to play that crucial game in the opposition's Province (where KZN were easily able and willing to accommodate us) is quite frankly hurtful and embarrassing. The Cape Town Stadium is unavailable due to the setting up of the Rugby 7's tournament, but we have become accustomed to being removed from Cape Town Stadium for events far less significant. It blows my mind how a stadium that only exists because of the Soccer World Cup, cannot be reserved for 15 out of 365 days for the City’s premium soccer team. Football has been sold lies in Cape Town. When there is a private wedding, the stadiums are ready. When there’s a rugby competition, the stadiums are ready. When there’s a nitro circus car event, the stadiums are ready. For football, Cape Town’s World Cup stadium – unavailable. Athlone Stadium – used by a thousand tenants has become a sand patch. Newlands unavailable. Make an emergency plan at another venue across the entire Western Cape – um, sorry we didn’t think that far ahead. But our fixtures are no secret? It’s about planning and willingness and I cannot believe that our officials cannot see the immense commercial, cultural, and community impact that Cape Town City FC has in this city. The power of football changes lives, and brings people together. It is the people’s game. When will Cape Town City have a home? When will "WE" have a home? The only way the severity of this treatment can be understood, is ironically through the eyes of Rugby. Imagine the Stormers, with a chance to go top of the log, were told that they must play their next crucial home game against the Sharks in Durban. Season tickets sold, fans eagerly awaiting, and the players prepared to represent Cape Town. It’s hard to imagine it, because it will never happen. Football people, although an overwhelming majority in this country, do not seem to count as much in Cape Town. With all that has been said and promised, the old reality has returned. Football in Cape Town has been forced into exile. - Benni McCarthy, Head Coach Cape Town City FC"